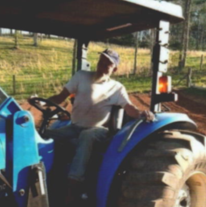 Larry Lord, age 70, of Morganton, passed away Friday, March 1, 2019. Born August 10, 1948, in Morganton, GA to the late Frank Lord and the late Ruby Hayes Lord. He was a US Army Veteran serving during the Vietnam Conflict, and a cattle farmer. Mr. Lord was preceded in death by father, Frank Lord, mother, Ruby Lord, infant brother, Marvin Lord, sister, Lynda Brookshire. Survivors include his daughter, Lisa Hughes, son, Frank Calvin Lord, Brother, Jerry (Brenda) Lord, sister, Glenda (Fred) Watkins, sister, Mary Tritt, nieces and nephews. Interment will be in Concord Baptist Church Cemetery. Arrangements entrusted to the Henry-Cochran Funeral Home of Blue Ridge, GA. You may send condolences to the family and sign the guest register at www.cochranfuneralhomes.com.